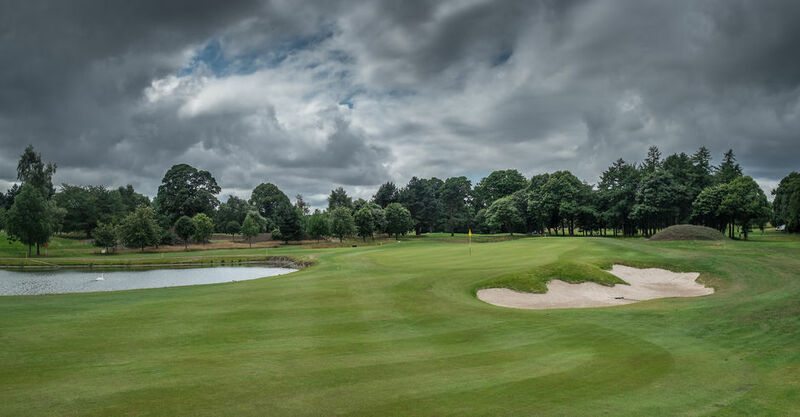 In 2017/18 Bruntsfield Links has been re-developed by the highly acclaimed golf course architects Mackenzie & Ebert to produce a new Par 71 layout of 6,500 yards. The course was initially designed by Willie Park Jnr, one of the founders of golf course architecture. Subsequent revisions by Dr Alister MacKenzie in 1921-22 and Fred Hawtree between 1972-74 have created a challenging layout of 6,446 yards (Par 70 / SSS 71), that meanders between mature trees. The course is characterised by well placed bunkers, mature trees lining the beautifully manicured fairways and undulating greens full of character and deceptive slopes. Extensive practice facilities are also available to both members and visitors. An ongoing programme of green reconstruction to USGA specification has improved both consistency and speed, and with many subtle borrows, a good score at Bruntsfield is always well earned. The course record of 63 was set by Charlie Simpson in 2009, and equalled later that year by David Donaldson. Both rounds took place in Society competitions. Stuart McLaren equalled this record in 2018. Bruntsfield has hosted the (British) Seniors Amateur Championship (1988), Scottish Strokeplay Championship (1992), Scottish Mid Amateur Championship (2001), Scottish Youths Championship (1998), (British) Boys Amateur Championship (3 times, most recently in 1975) and Lothians Championship (2006). The course was selected by The R&A as a Regional Qualifying course for the 2011-2015 Open Championships.